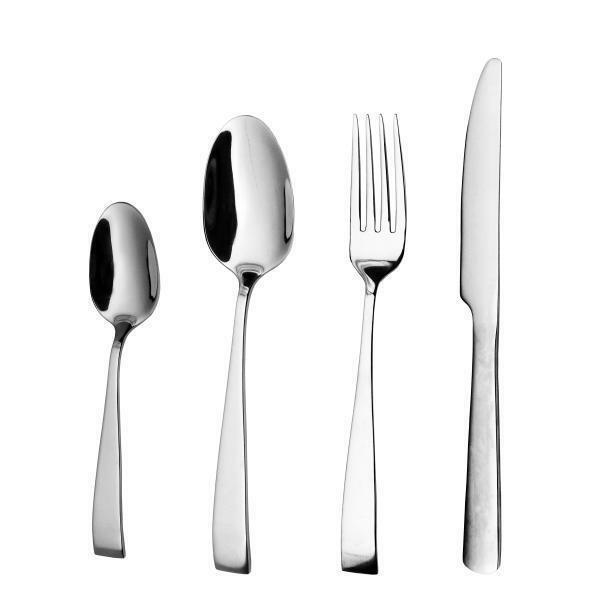 Cutlery Flatware Set | KEJ-461(KEJ-461) - Keywood International Inc. This cutlery set features a square look at the end of the handle. The dinner table knife has serrated edge and undergone special hardening process that ensures effortless cutting experience. Available in 16-piece, 20-piece, 24-piece set or more. Set composition can be customized to suit your need whether it's for large catering gathering or small family use.